This week, I came across two news articles about a study in Nature led by Nick Graham that linked invasive rats on islands to coral reefs. I was intrigued by how the different authors (in this case, Ed Yong from the Atlantic and Victoria Gill from the BBC) reported on the study, and took it as a sign that I have should some fun with text analysis. To avoid crazy parsing gymnastics, I copied & pasted the text of the articles into *.txt files, which I’ve now uploaded onto GitHub. They still needed some cleaning, but it was a start. I decided to begin with just the Atlantic article to catch any funny business before going too deep into the analysis. With an extra lines of stringr and the fantastic pluralize package, I can fix these problems. It looks pretty good! Now let’s functionalize it and repeat it for the other two articles. While I’m at it, let me also add in a column for the source. With map2, I can then apply the function to my three texts and bind them together. Now for some #dataviz. I love looking at word clouds, so let’s take a look at a couple here. 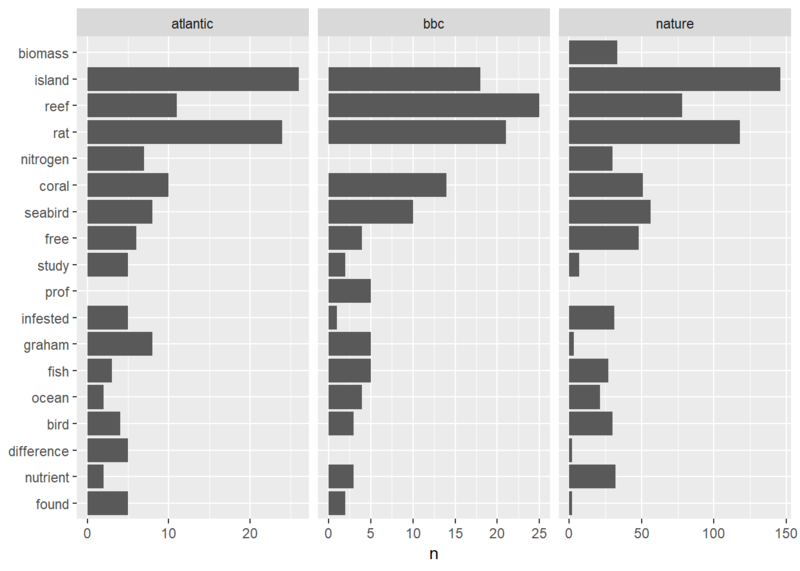 The word size in these visualizations represents the relative abundance (count) in the text. Since the original Nature article is much longer than the two news articles, let’s look at it separately. If we compare all three, we find that the BBC put the strongest emphasis on the impact on coral reefs. We can look at this more directly using bar graphs. 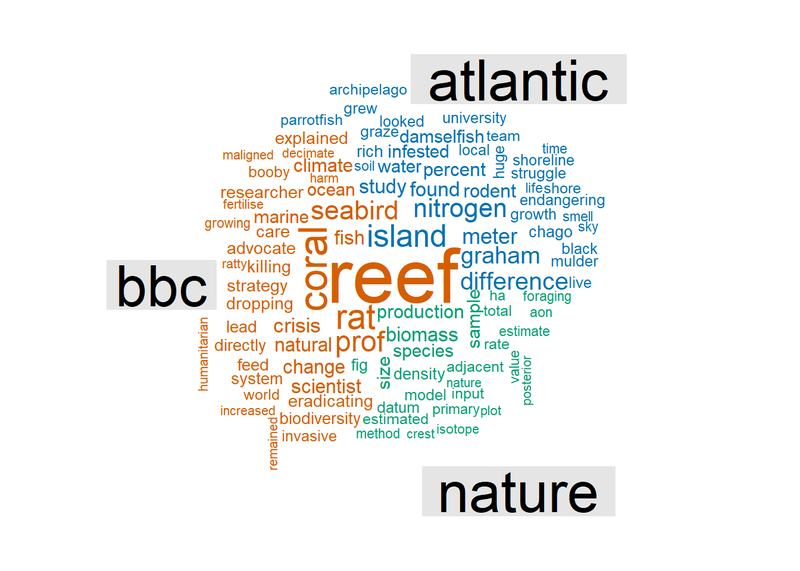 Here, I take the 10 most common words from each article, and see how they compare across sources. In this case, the x-axis scale is auto-adjusted so that we can better compare the relative counts. 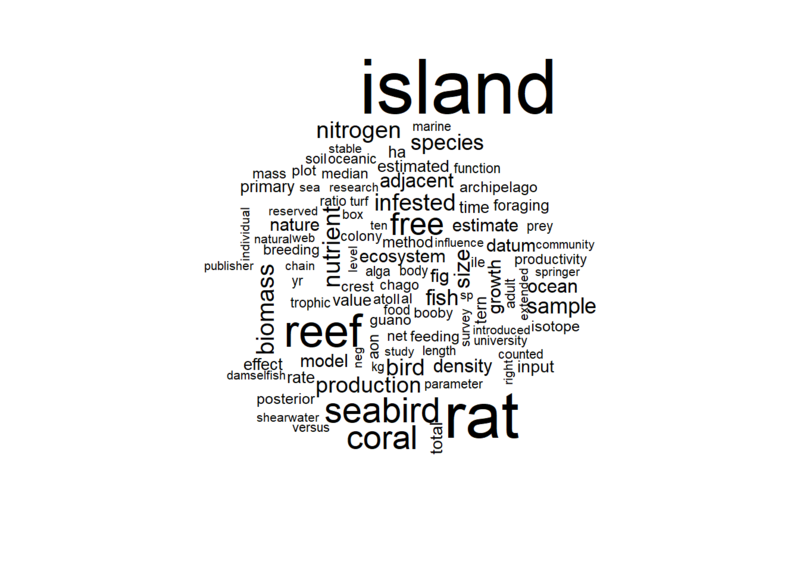 As expected, “island,” “rat,” and “reef” are commonly used in the three articles with “coral” and “seabird” following closely behind. As I reread the two news articles again, I find that the difference in word use are highlighted in the authors’ disparate strategies in telling the story. Victoria Gill from the BBC is succinct and to the point. Each paragraph contains no more than two sentences, and she lays out the story in two sections: “How do rats harm coral reefs?” and “Why does this matter?” The latter section is almost entirely about the importance of coral reefs generally, which explains the heavy use of reef that we saw above. In contrast, Ed Yong uses longer-form prose to highlight the historical and academic landscape of the study. He writes about humans inadvertently carrying rats to the islands in the late 18th and early 19th centuries, and describes the complex and abundant relationships among members of this ecosystem. 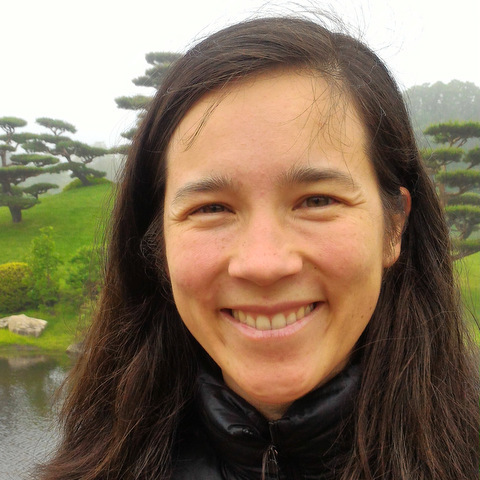 Like Victoria Gill, Ed Yong ends on a conservation note: eradicating rats from islands is “low-hanging fruit” as far as management actions are concerned. Graham et al.’s study pulled together a lot of smaller studies into a cohesive and compelling story, but the best part of is definitely Aaron MacNeil’s GitHub link to the analyses and plots! Way to champion reproducible research! © This post is licensed under a Creative Commons Attribution-NonCommercial 4.0 International License，please cite if you wish to quote or reproduce.This post was published 245 days ago, content in the post may be inaccurate, even wrong now, please take risk yourself.